Great long-range shooting couldn't make up for poor free throw shooting Monday for the Logan County Cougars. Coach Lonnie Mason's team hit 13 three-pointers but got only 9 of 17 free throws to fall. With Pedro Bradshaw canning 11 of 12 free throws, including 9 of 10 in overtime, the Russellville Panthers connected on 24 of 32 as a team and won 82-78 in a closely contested game that went down to the wire. Coach Phil Todd's team led by 13 at 46-33 in the third quarter, but the Cougars used a man-to-man defense to come back and take the lead. Bradshaw and Logan's Ethan Smock missed shots in the last couple of seconds of overtime. Elijah Kemp hit a goal to give the Panthers the lead at 75-73, and then the Panthers hit free throws to seal the victory. Bradshaw scored 26 points, Micah Naylor 14, Jaylin McMurry 11, Jacob Naylor 10 and Shon Kees 9 for RHS. Kelby Epley hit 8 three-pointers on the way to 23 points for the winners. Third Bell (22 points) and Austin Rayno (16) each hit 3 three-pointers for Logan. The boys Clash of the Cats has gone into overtime at Logan County High School. Russellville led by 11 in the second half, but Coach Lonnie Mason's Cougars used a man-to-man defense to take the game into the extra period. Russellville's Micah Naylor of Russellville and Kelby Epley of Logan hit 3-pointers to start the OT. Russellville leads 75-73 with a minute and a half left in the extra period. Holding visiting Russellville to just 29 points, Coach Finley Baird's Logan County Lady Cougars ran their district record to 4-2 Monday in the Clash of the Lady Cats. Young post players Kennedy Nichols and Jamica Key scored 8 and 7 points, respectively, for the Lady Cougars. Logan Williamson led the Lady Cougars with 12 points, 10 of them in the first half. Ann-Meguiar Bouldin added 8 points for the winners. Loreal Cheaney led RHS with 13 points in the 41-29 loss. Tatyana Peterson added 9. Logan County improved to 8-16 overall with half of its wins in district play. Coach Calvin Head's Lady Panthers fell to 6-15, 1-3. If RHS can beat Todd Central again on Feb. 10, a third Clash will be set up in the district tournament. From Russellville High Assistant Principal Jennifer Myers: The RHS Football Banquet celebrating the 2016 regional champions will be held Tuesday, Jan. 31 at 6 p.m. in the RHS cafeteria. Roy's BBQ will be catering the event. Plates are $10 each, $5 for kids, and the team's meal will be provided free of charge. Any parents that would like to help decorate can contact Coach John Myers. The rim was locked and sealed for Russellville in the second half and overtime Saturday as the Panthers’ All A Classic run ended sadly, in a 61-51 loss to Newport Central Catholic. The Panthers led 24-10 early in the state semifinal game. The lead was down to five at the half. With Jacob Naylor scoring RHS’ first 10 points of the third quarter, RHS led 39-32 going into the fourth quarter. Pedro Bradshaw scored on the Panthers’ first possession of the fourth quarter to make the lead nine, but Russellville didn’t hit another field goal until Bradshaw got one to fall with seven seconds remaining in OT. That totals 11 minutes and 43 seconds with nothing more than 8 free throws to show for their effort. Meanwhile Catholic was scoring 29 points. Russellville shot 22.6 percent for the game (17 of 75) for the game. Watch The LoJo for more details of the tournament. Senior Pedro Bradshaw compiled almost a double-double to lead the Russellville Panthers in building a 38-25 halftime lead over Mayfield in a quarterfinal game of the All A Classic at the Frankfort Convention Center Friday afternoon. Bradshaw had 13 points, including 10 in the first quarter, plus 8 rebounds at the intermission. Jacob Naylor had 11 with Micah Naylor and Paul Jones getting 5 each. Jaylyn McMurry joined Bradshaw with 8 rebounds as the Panthers built a 24-15 board bulge. RHS scored 17 points on 12 turnovers by the Cardinals. Logan County Athletic Director Greg Howard has announced that the induction ceremony of the 1984 state basketball team into the Cougar Athletic Hall of Fame can be seen on the internet if people are unable to attend. He says, "I received word that McLean County people will be broadcasting the game and ceremony via YouTube video. Those not able to attend in person can go to “McLean County Sports Network” on YouTube just prior to game time and watch." 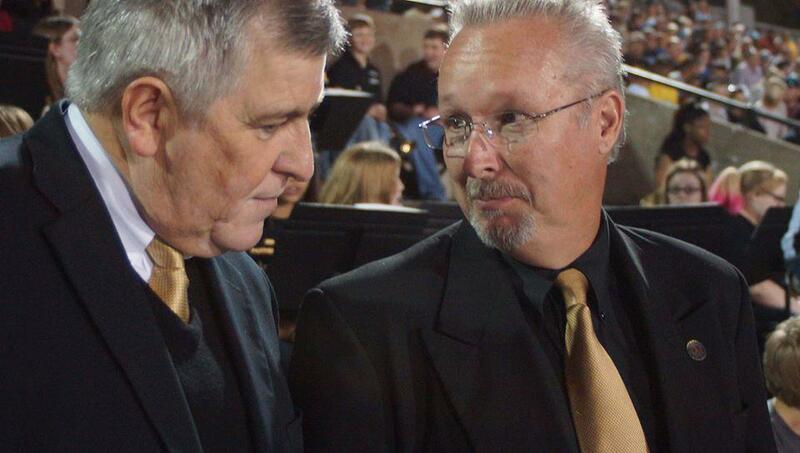 Russellville Superintendent Leon Smith announced earlier plans for school Friday in case the Panthers won their first game at the state All A Classic, which they did. (See the News Brief that follows this for game details.) The plan follows: "We will go to school a half day. Stevenson Elementary will dismiss at 11:30 a.m. and Russellville Junior/Senior High School will dismiss at 12 noon. Our cafeteria staff will provide a sack lunch for all students. This will provide four hours of travel time for families who want to attend the quarterfinal game at 4 p.m. CST. By going this route, we will not have to make up any missed days for the state tournament." Jaylyn McMurry scored all 14 of his points in the second half, accounting for slightly over the margin as the Russellville Panthers beat East Ridge 63-52 in the opening round of the All A Classic state tournament in Frankfort early Thursday morning. Pedro Bradshaw led the Panthers with 19 points and Jacob Naylor scored 13. Coach Phil Todd's team hit 22 of 46 shots for 48 percent while holding the Warriors to 40 percent accuracy. The Panthers also had a 32-28 rebounding margin. Russellville will play long-time football foe Mayfield n the quarterfinals Friday at 4 p.m. Mayfield won over Kentucky Country Day 85-73 in a game even earlier than the Panthers' game. A Barren County player went one against three and grabbed a rebound in the finals seconds of overtime against visiting Logan County Tuesday. He stuck the ball back in the basket as time expired to give Coach Warren Cunningham's Trojans a 52-50 win. The game was tied at 48-48 after regulation with only six total points scoring in the extra four minutes. Barren County's record improved to 10-12. The record for Coach Lonnie Mason's Cougars fell to 4-16. Mt. Pleasant Baptist Church in Lewisburg will have a special Gospel Sing for its Fifth Sunday Sing service starting at 6 p.m. on Jan. 29. Featured for the evening will be the Mt. Pleasant Sanctuary Choir; the “School House Seven” Gospel Ensemble with soloists Alan Walker, Steve Boarman, Jayme Forrest, Julie Johnson, Pete Lehman, Sheila Burns, Tiny Dooley, Arlene Chapman, Jennifer Gibbs, Bro. Tim Nugent and family, as well as opportunities for others to share a couple of their favorites with the community. At 5 a youth fund-raiser will be held to raise money for summer camp featuring soups and sandwiches. Larry Vaught is the music director. 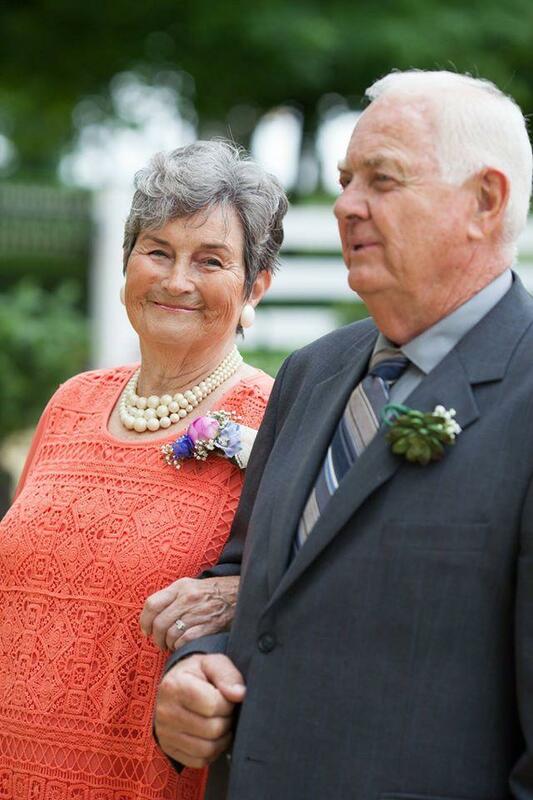 Jim Moore, one of three members of the Logan County Board of Education who cast the votes to consolidate five schools into Logan County High School in the late 1970s, died Sunday at his Auburn home. Mr. Moore, 79, served on the school board for 12 years and also as an Auburn councilman. After retirement as vice president of Caldwell Lace Leather, he devoted his energies to helping others, primarily through the Kentucky Changers and Baptist Builders. His survivors include his wife, Luanne Hannah Moore, his son, Ted Moore, and his daughter, Terie Britt. Funeral services will be held Friday at New Friendship Baptist Church. Logan County High School has done its crosstown rival a big favor. LCHS is sacrificing some of what is usually the biggest gate of the year to move the Clash of the Cats from this Friday until Monday, Jan. 30. It's often difficult for many people to get to weeknight games, especially those who live out of the county. Athletic Director Greg Howard agreed to move the date because Coach Phil Todd's Russellville Panthers will play in the state Class A Classic this week, and if they advance they would not be able to meet their scheduled encounter with the Cougars. The Lady Cougars and Panthers were winners of the first Clashes this season at RHS. The Southern Ky. Pastfinders will begin their new year tonight at 7 p.m. at the Logan County Public Library. The speaker will be Ben Kemplin, who owns the historic McCutchen-Coke home near Auburn along with his wife, Katina Kemplin. Ben will discuss the history of the home and its restoration as well as some history on the plantation. This informative presentation is open to the public and new members are welcome. Sherry Guion says, "Come find out what we're all about. Don't let history be a mystery, come learn with us." Todd Central started strong but Russellville finished much stronger Friday as Coach Phil Todd’s Panthers won the Fourth Region Class A championship at Elkton, earning a berth in the state Class A Classic. The Rebels led 25-19 after a quarter with Travay Henry hitting a trio of 3-pointers and Nolan Barrow adding two more from long range. It was all RHS after that. The Panthers had taken the lead 41-32 at halftime and never looked back. Pedro Bradshaw scored 23 points for Russellville, Jaylyn McMurry 16 and Jacob Naylor 13. Naylor scored 11 of his points in the fourth quarter, sinking three 3s. Shon Kees added 9 points and Micah Naylor 7. Barrow scored 16, Kyle Harris 11, Henry 9 and John Calvary 7 for Todd. The Friends of the Library are having their annual January book sale Wednesday, Jan. 25,. through Saturday Jan. 28, in the program room at the Logan County Public Library during library hours. Wednesday is a preview sale for Friends members only from 2-7 p.m. Elaine Ezell says, "If you are not a member of the Friends or have not renewed for 2017, you may do so at the door. Membership is $10 a calendar year." Thursday hours are 9 a.m.-7 p.m.; Friday hours are 9 a.m.-5 p.m. and Saturday the sale is from 10 a.m.-5 p.m. Book prices are $1 for hardbacks, 50 cents for paperbacks, and $1.00 for CD's & DVD's. Friday is half-price day; and Saturday all remaining books are $1 a bag. Bags will be provided. Former Logan Chamber of Commerce Executive Director Ryan Craig has taken over as president of the Kentucky Press Association this week. Craig, who owns the Todd County Standard along with his wife, Jenni Osborne Craig, lives in Russellville. His late uncle, Larry Craig, also served as KPA president. Franklin dominated the first and third quarters on the way to a 63-50 district victory over visiting Logan County Friday. Tavin Lovan scored 21 points, Dakota Thomas 11 and Ollie Eutsy 9 for Coach Dee Spencer's Wildcats (15-4). Austin Rayno scored 14, Ethan Smock 13 and John Mark Page and Kelby Epley 6 each for Coach Lonnie Mason's Cougars (4-15). After trailing by 12 points, the Cougars had cut the lead to 30-24 at halftime. Logan carved the margin to four to start the third quarter, but the Wildcats scored 13 of the next 15 points to go up 43-28 before Rayno hit a 3-pointer. Lovan's goal built the lead to 20 at 61-41, but Spencer used all 17 of his players. Smock scored the last five points of the game to make the final margin 13. From WRUS News: Both Adairville and Auburn voted to allow the sale of alcoholic beverages within their city limits today, in special elections. In Adairville, there were 108 "yes" votes, to 34 "no" votes. In Auburn, there were 168 "yes" votes and 83 "no" votes. City councils in both cities will have to draw up and enact ordinances governing the sales before they begin. After trailing by 12 points in the first half, the Logan County Lady Cougars overwhelmed visiting Butler County in the second half Tuesday. Coach Brian Bivens' Lady Bears led 16-8 and 27-21 at the first two stops. Logan scored 11 of the game's first 12 points in the third quarter with seniors Jessica Hines and Logan Williamson leading the way. The home team got big plays from Abi Lindsey, Sarah Beth Hales, Kennedy Nichols, Ann-Meguiar Bouldin and Brittany Garrett late in the game. Hines finished with 19 points and Williamson scored Logan's last five points on the way to 13. Lindsey had trouble getting layups to fall, but she got those shots because of her defense and steals. Maddy Murphy scored 21 points for the Lady Bears but the next highest total was 7 by Aubry Hall. Kasidy Graham kept her team in contention with a 3-pointer late in the third quarter. After a slow start on the season, Coach Finley Baird's Lady Cougars have won four of six games in 2017. The Russellville Lady Panthers and Panthers will play host to Clinton County Monday in the first-round of the All A Classic regional tournament. Athletic Director Calvin Head says the girls game will tip off at 5 p.m. with the boys to follow. Tickets are $5 and RHS season passes will not be accepted for these games. The Russellville boys got off to an horrendous start Friday as Jaylyn McMurry drew his second foul in the first two minutes, and visiting Franklin-Simpson won big. The final score was 79-57, but F-S led 18-3 and 41-13 at the first two starts. The Panthers cut the margin to 11 with 2:05, but Coach Dee Spencer’s Wildcats dominated those last two minutes. Tavin Lovan hit all 10 of his free throws on the way to 32 points for Franklin. Fellow McDonald’s All America nominee Pedro Bradshaw of RHS scored 26. Center Dakota Thomas hit three 3s on the way to 11 points for F-S with Trey Radcliffe scoring 13. McMurry scored 11 for the Panthers. Usually high-scoring sophomore guard Jacob Naylor hit Russellville’s first goal but didn’t score again. Coach Finley Baird’s Logan County Lady Cougars were the only winning team from the Land of Logan Friday in a pair of district doubleheaders. Senior Jessica Hines scored 13 points while classmate Logan Williamson had 7 points and a pile of assists in the Logan girls’ 73-56 win at Todd Central. Carlie Alvis also scored 7. Twelve Lady Cougars scored. Alexis O’Daniel of Todd was the game’s leading scorer with 20. Also scoring for Logan were Peyton Vanzant, Ann-Meguiar Bouldin, Jamica Key, Abi Lindsey, Brittany Garrett, Kennedy Nichols, Blayke Bingham, Jessica Woodward, and Sarah Beth Hales. Todd Central High School has decided that the usual order of basketball games will be reversed Friday with the Rebels' district game with visiting Logan County to be played first at 6 p.m. The girls game will be played second. Both games along with Russellville's home games against Franklin-Simpson will be aired in parts on 610 WRUS and its website. 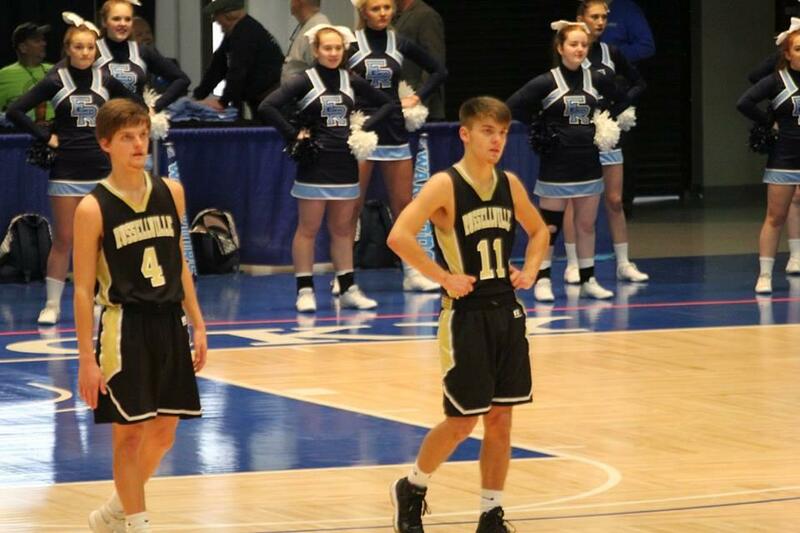 Two of the top-rated players in both the Fourth Region and Kentucky will go against each other Friday night at Russellville's Jim Young Gymnasium. Franklin-Simpson's Tavin Lovan and Russellville's Pedro Bradshaw added to their credentials this week by being named McDonald's All American nominees. The list of 720 nominees will be reduced to 24 All Americans during an announcement to be televised on ESPNU this Sunday at 9:30 p.m. Russellville will entertain both Franklin teams Friday, with the girls game to begin at 6 p.m. The annual RHS Football chili supper will be held from 5:15-6:45 in the RHS cafeteria. Chili, hot dogs, chips, crackers, drinks and desserts will be available. Donations will be accepted. Modern Woodman Agent Donald Bibb is the sponsor, as always. The Rev. Dr. Martin Luther King Jr. Jubilee and Celebration sponsored the Russellville-Logan County NAACP will be held this Saturday, Jan. 14, at 9 a.m. in the K of P Hall, Fifth and Morgan streets, in Russellville. According to NAACP President William Woodard, the program speaker will be Pastor Brian S. Hogg of Alpha Baptist Church of Franklin. Breakfast will be served for a donation of $7 at the door. The public is welcome. Russellville Superintendent Leon Smith wrote this to Russellville Mayor Mark Stratton: "On behalf of our district: While you were at home sick, you contacted me to see if there was anything your staff could do to help clear our high school parking lot for the Clash of the Cats. Coach John Myers said the salt we had was working but not very fast. Your street department came in and spread calcium chloride that worked great and provided the melt needed to play our game on Friday night. We were the only basketball game in the 4th Region who were able to play our games on Friday." Ricky Heflin is Auburn's newest councilman. The long-time John Deere parts manager in Russellville was chosen by the four council members who were elected in November--Steve Montgomery, Bobby Price, Claude Tisdale and Rex Evans--at the January council meeting Monday. A special meeting will be called soon to name the sixth council member. Only four people sought the office last year. Ricky and Darlene Heflin moved to Auburn a few years ago. 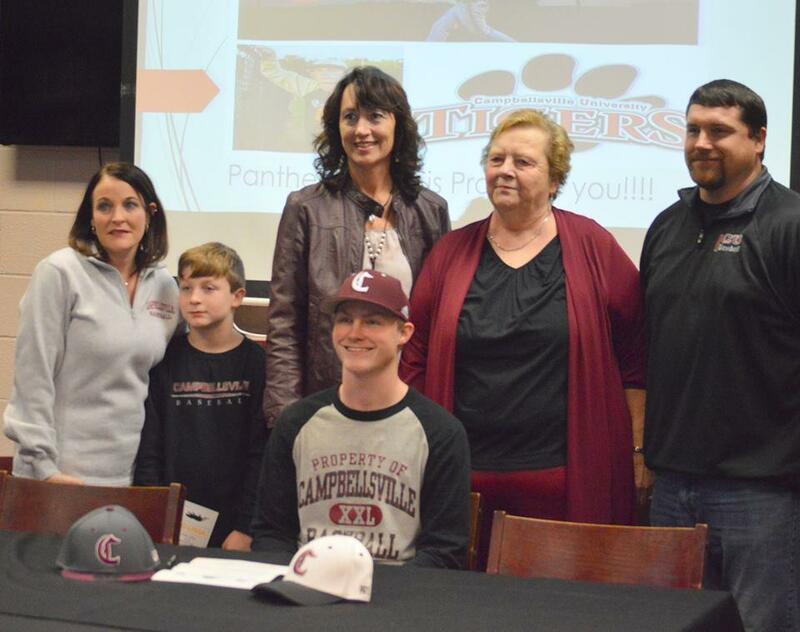 The signing ceremony for Russellville's Jordan Blick to play baseball for Campbellsville University was postponed Friday because of weather. Athletic Director Calvin Head has announced that it has been rescheduled for this Thursday at 2:30 p.m. in the school library. The anticipated blowout didn't happen but the Russellville Panthers beat Logan County 75-65 in the boys Clash of the Cats at RHS Friday. With sophomore Kelby Epley leading the way, Logan cut a 14-point RHS first-half lead to one. Epley, who scored 22 points, hit a 3-pointer to start the fourth quarter, reducing the Panther led to 51-50. Then Jacob Naylor hit a shot while falling backwards and Jaylyn McMurry hit a couple of athletic shots to give Coach Phil Todd's team breathing room. Pedro Bradshaw scored 29 points, 17 coming in the first half and 9 in the fourth quarter, for the winners. Naylor added 16 and McMurry 14. The Panthers got things going right when Micah Naylor took control of the ball. Austin Rayno scored 11, Mykal Hampton 8, and Lorenzo Garcia 7 for the Cougars. 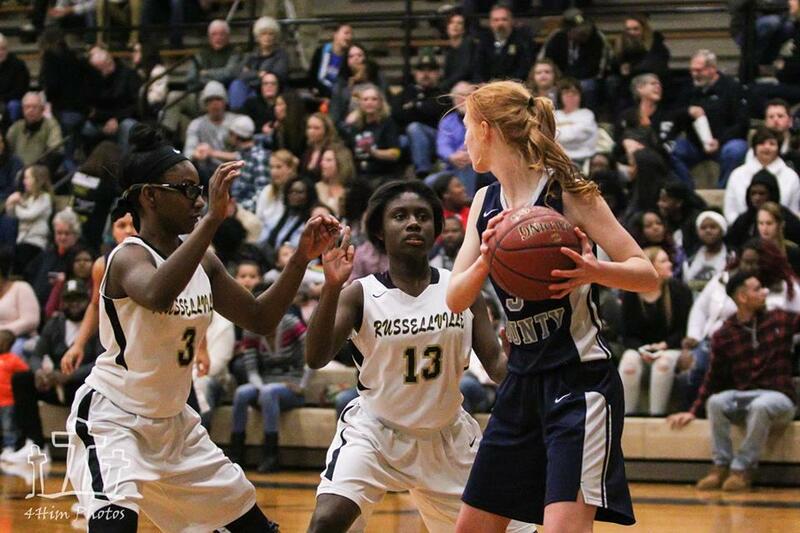 The Russellville Lady Panthers cut a 14-point halftime deficit to 5 late in the game, but Coach Finley Baird’s Logan County Lady Cougars held on for their second district win Friday at RHS, winning 62-55. Seniors Jessica Hines, Logan Williamson & Ann-Meguiar Bouldin made significant contributions late in the game for the winners, as did freshman Paige Vanzant. Hines finished with 19 pints, Abbi Lindsey 14 and Williamson 10. Lindsey scored 11 points in the first quarter. Vanzant got all 6 of her points in the fourth quarter, and Bouldin hit a pair of free throws late in the game. For RHS, Deshala Leblanc rose to the occasion in the continued absence of the injured Loreal Cheaney with 26 points and Gabbi Poirier scored all 10 of her points in the fourth quarter. Twelve Lady Cougars played in the win. The Clash of the Cats will be held at Russellville High School tonight, RHS Athletic Director Calvin Head has announced. The girls game begins at 6 p.m., followed by the Hall of Fame induction, and the boys game. Games will be aired on WRUS. From Russellville Athletic Director Calvin Head: As of now the Russellville vs. Logan County game is still on. Final decision will be made by 2 p.m. or a little before. We are wanting to make sure campus will be safe and clear of ice. Stay tuned. From Wes Watt of KTC: Crews have been battling snowy conditions following a winter weather system that moved into the district early this evening. The system dumped heavy snow in a small amount of time leaving most roads in the district partially or completely covered with snow. Crews pretreated the roads yesterday and this morning to prepare for the event. When the system moved into the area crews mobilized in to action on the roadways. As of 9 p.m. many of the main routes, including Interstate 65, are showing great improvement. Many of the rural routes are still covered and crews are working as fast as they can to treat them. There have been reports of vehicles sliding off the roadway and minor crashes at intersections. No big crashes have been reported as of now. Russellville native Julie Guion Steele died in Salisbury, N.C. Wednesday after a long illness. A 1971 graduate of Russellville High School, she was the daughter of Joyce Guion and the late Bob Guion of Russellville. Among her survivors are her husband Dr. Robert Steele, her daughter Andi Steele Orr, her infant grandson Anderson Steele Orr, her sisters Carol Switzer and Janice Threlkeld, and her brother, Andy Guion. For a complete obituary, click here. Russellville and Logan County schools are closed Friday because of winter weather, according to Russellville Superintendent Leon Smith and the Logan County schools website. All campuses of Southcentral Kentucky Community and Technical College are also closed. There's no word yet on whether the Clash of the Cats will be played at RHS Friday or not. From Athletic Director Calvin Head: The Russellville High School Athletic Department will offer free admission to Friday night's ball game for RHS and RMS students between the times of 5:30 and 5:45. Students must be in black and gold attire and must sit in the student section. Head's Lady Panthers and Coach Phil Todd's Panthers entertain Logan County in the first Clash of the Cats for this school year, beginning at 6 p.m.
Jordan Blick, a four-year starting pitcher and infielder for the Russellville Panthers, will sign to play baseball for Campbellsville University this Friday at 3:30 p.m. The signing will take place in the RHS Library, according to Athletic Director Calvin Head. Blick has also been the starting tight end, punter, and placekick holder for Panther football. Blake Crabtree is the Panther baseball coach.